A Hunter Douglas Showcase Dealer. 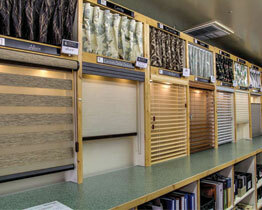 Denver’s Premier Source for Window Coverings. Quality, custom window coverings for your home, office or workspace. Windows Dressed Up in Denver, Colorado, is your one-stop resource for finding a wide variety of custom window treatments that will work perfectly for every window in your home. Our showroom is located at 38th Ave on Tennyson St and is designed to help make your window treatments shopping easier by giving you the opportunity to see actual working samples of blinds, shutters, shades and drapes. Feel the texture and weight of luxurious fabrics and make side-by-side comparisons. 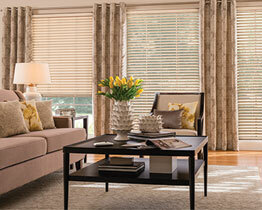 We represent the major brands such as Hunter Douglas ®, Graber ®, Kirsch ®, Lafayette Interior Fashions ®. We also make custom curtains, drapes, valances and bedding. Custom drapery hardware too! 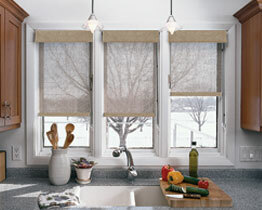 Why should I consider Custom Window Coverings at Windows Dressed Up in Denver? You have a choice of what you buy and where you buy it. If your window treatment is “off the shelf”, your choices are limited. Whether you are looking at drapes, blinds, shutters or shades, what more do you get when you order custom-made instead of a big box treatment? Visit the Windows Dressed Up Showroom Today!